The Cisco TelePresence SX20 is a flexible video collaboration and conferencing solution that turns any flat panel display into simple to use & powerful collaboration system for medium sized meeting rooms. The Cisco SX20 Quick Set delivers the highest quality video, multi-party conferencing, and multiple camera options to accommodate any room size and configuration. 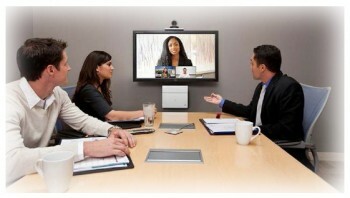 Cisco SX20 provides the highest quality video collaboration in a compact, simple-to-use solution. 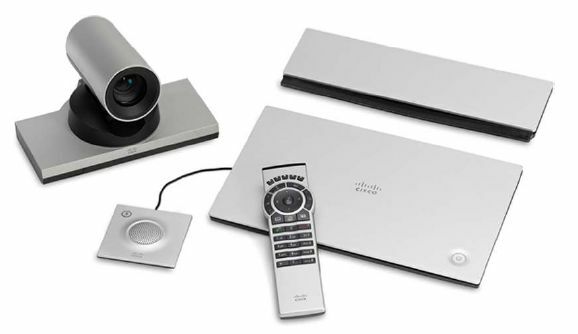 Feature rich with capabilities such as Cisco Intelligent Proximity for content sharing to mobile devices and wireless collaboration from Macs and PCs, the Cisco SX20 also includes an embedded multisite capability for multipoint conferences, enabling users to add three more participants to a video conference, without the need for an MCU. The Cisco SX20 Quick Set combines a powerful codec, three camera choices, and a dual-display option in an easy-to-deploy solution. Whether you’re a small business just getting started with telepresence or a large enterprise looking to expand your existing deployment, the Cisco SX20 Quick Set delivers the performance you would expect from more expensive systems – in a compact and feature-rich package. Cisco TelePresence SX20 Quick Set is designed to truly extend the Power of In-Person to everyone, everywhere. The Cisco SX20 is one of VideoCentric’s leading Video Conferencing and Collaboration products, which has transformed boardrooms and meeting spaces around the UK into high quality face-to-face collaboration spaces. So what components should you think about to transform your space? Room design and positioning – talk to us about Room Pre-Installation Surveys and Room Fit-Out and AV services. Touch Panel for controlling your SX20 – the Cisco Touch 10, or a bespoke controller if required. Larger rooms may need additional audio integration solutions. A display – a single display or dual display, for your Video and your content. Mounting options – for both your codec and your display. Additional multipoint service or registration with Cisco Spark for Collaborative working? Firewall or gateway services, dependent upon who you wish to communicate with. Training, Onboarding & Maintenance Programmes for ongoing usage and adoption, for a faster ROI. A trial of the solution, before purchase, to ensure it’s right for you. As one of the UK’s most experienced integrators, we encourage organisations to think about the whole picture – we’ve spent many years helping teams solve the challenges caused by fast implementation of cheap solutions without proper planning and thought. A combined solution of products and services can give your business the assurance that you will have the right solution, that looks great, works every time, and is well supported now and into the future. 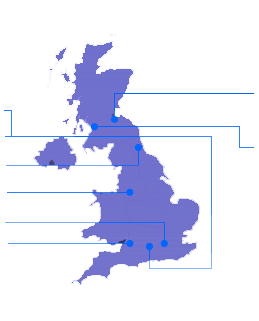 Get in touch with us today to discuss your requirements and ensure the right solution is deployed in your network. With embedded multisite, you can add up to 4 participants per call – without the need for an MCU or any cloud based infrastructure. Sleek, compact design. Simple, intuitive connections. Provides up to 1080p60 resolution for fantastic video and content. Through the Touch panel controller, you can control multiple devices and peripherals, including lights and curtains too. Make your room simple for everyone. Extremely simple and clean user interface. Enables addition of ad-hoc conferencing features including firewall traversal, recording and streaming.